Introduction to Trade Policy provides a comprehensive overview of the rules and regulations that govern trade flow. 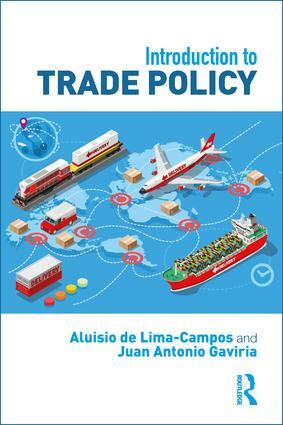 It discusses the trade policy formulation process of major international economic players, and analyzes existing trade policy tools that countries may resort to in order to take advantage of the benefits of international trade and to protect themselves against its dangers, as well as their implications for trade policy, law and negotiations. In Section I, the book explores the ways in which interest groups interact with government and legislators to shape trade policies. By developing an analytical view of trade policy formulation systems in the U.S., European Union, the BRICS countries (Brazil, Russia, India, China and South Africa), Canada, Mexico and Australia, the book will help the reader to gain a better understanding of these countries’ trade policy developments and also to apply such learning to the analysis of the trade policy formulation of any other countries. Section II goes on to explain how trade policy tools are used by governments to achieve trade and other policy objectives, while Section III analyses trade in services and the multilateral trade rules on Intellectual Property. Finally, Section IV uses hypothetical case studies in simulation exercises to illustrate trade policy decision-making and trade agreement negotiations in a bilateral, plurilateral and multilateral setting. This is the ideal introduction to international trade policy formulation for students and professionals in the areas of law, politics, economics and public policy who are seeking to develop a global view of international trade, gain insights into trade negotiations and understand the motivations behind the policies and actions of governments regarding international trade issues. This book is also the ideal companion to any traditional legal casebook on international trade or on international economic law.